A trip to the Museum of Modern Art in New York isn't complete without seeing Christina's World by Andrew Wyeth. I couldn't resist a little parody by placing Maggie Simpson and Chez Simpson into the scene. 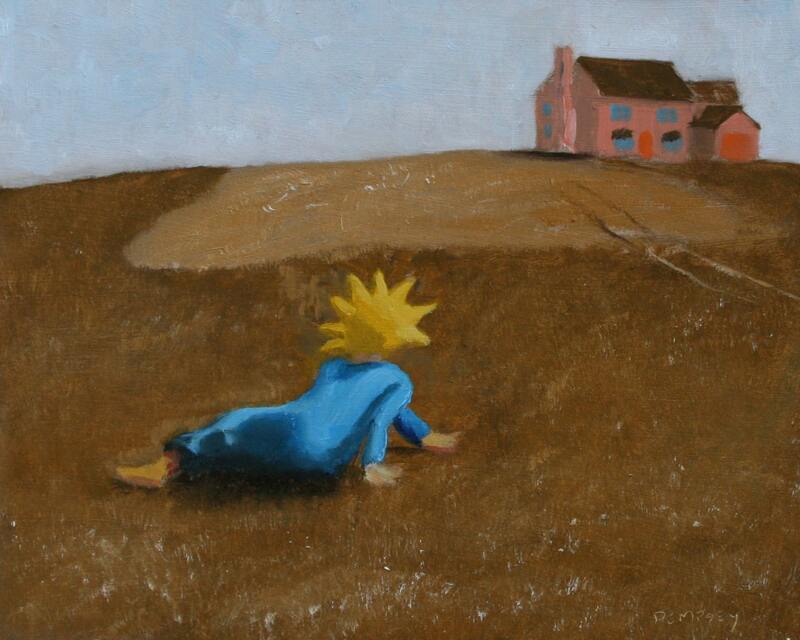 I live in the heart of "Wyeth Country" in Chadds Ford, so please don't tell anyone I did this. They'd come after me with pitchforks. The painting is 8 inches high by 10 inches wide. It is an original oil on a board. I can also offer a print of the same size. The print is matted, and thus the final dimensions are 11x14. There is obviously only one copy of the original. However, multiple copies of the print are available.